I love my woodland garden best on rainy days. Each drop is filtered through the Black Walnut above, and I walk along the pathway, admiring each leaf and flower. The play of light as the raindrops settle, illuminating the texture, nature & colour of each. Subtle shifts of light highlight the contrast of leaf, and I imagine the raindrops filtering through the earth towards the roots, and that feeds me as much as them. In the background is the Gypsy Wagon…courtsey of the old tenant. 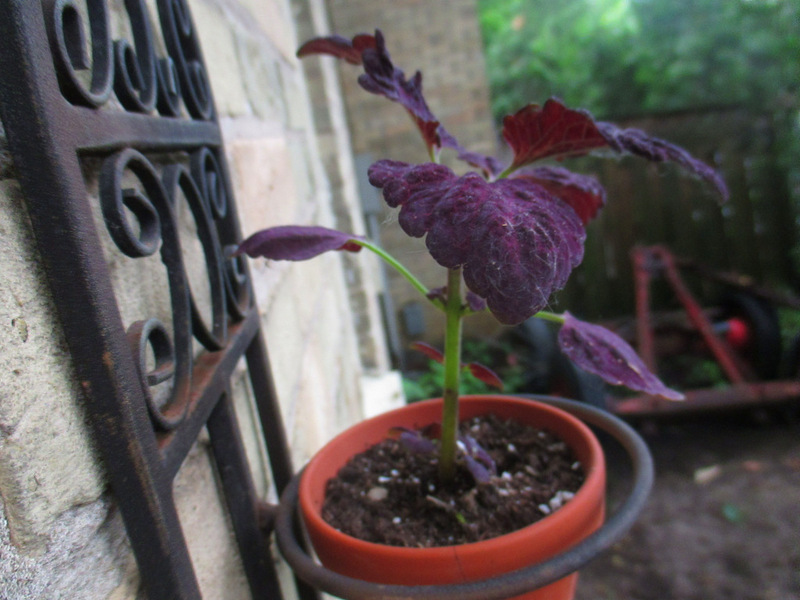 Foreground is a Coleus ‘Black Dragon’.